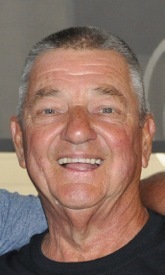 James A. Glaser, 75, of Plain City, died Monday, August 27, 2018 at Riverside Methodist Hospital, Columbus. He was born June 15, 1943 in Bellaire OH, the son of the late Albert and Gertrude Johnson Glaser. On April 20, 1984 he married his soul mate, the former Lori Ellison, who survives. Also surviving are son Mike (Dawn) Glaser, daughter Michelle (Dean) Collaros, and son Mark (Kim) Glaser. He is also survived by brothers Thomas (Sandy) Glaser and Paul (Jenny) Glaser; mother-in-law Barbara Ellison; brother-in-law Mark (Cynthia) Ellison; sister-in-law Jan Ellison; grandchildren and great-grandchildren Zach, Lanae, Dmitri, Lucy, Bella, Jimmy, Grant, Luke, Lacy, Courtney, Kyra, KaitLynn, Elliott, Lyla and Hannah; many cousins, nieces, nephews, friends; and quite a few furry family members. Jim was preceded in death by his sister Marge Glaser Fogel. Jim has always been a hard worker and began working at a young age hauling and loading produce for his dad. After graduating from high school, Jim began working for Otis Elevator Company, first as a maintenance mechanic and then as a maintenance supervisor, and retired in 2000 after 37 years of service. Jim had a heart of gold, a wonderful sense of humor, and was full of life, laughter and love. He took great pride in his children and their families. He was an avid fan of his many grandchildren’s activities and enjoyed spending time with family and friends. Jim helped everyone who needed help and he will be missed so much by all who knew and loved him. In keeping with Jim’s wishes, cremation has taken place. No calling hours or services will be held. In lieu of flowers, memorial contributions are suggested to the St. Jude Children’s Research Hospital, 501 St Jude Place, Memphis TN 38105 or Special Olympics Ohio, 3303 Winchester Pike, Columbus OH 43232. The EBRIGHT FUNERAL HOME, Frankfort, is serving the family.